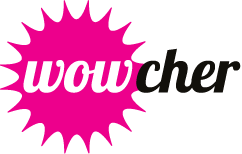 WOWCHER, a "deal a day" site that uses the power of group buying or bulk buying to get unbeatable deals on the best stuff to do, see, visit, eat and buy in a variety of cities in the UK. Bulk buying isn't just purchasing 20 cans of baked beans or 100 rolls of kitchen paper. Have you ever thought that bulk buying could be for an extravagant Thai massage or dinner at a Michelin star restaurant? What's the point of offering you a deal on something we wouldn't buy ourselves? We believe in honesty and so a great price isn't everything - it's also got to be a great product or service. We have top business partners and unbeatable prices, so you should feel comfortable venturing out and trying something new simply because we have featured it as a Wowcher. Part of what makes this fun for us is trying to expose people to things they wouldn't have done otherwise, like shows, skydiving, cooking classes, architectural tours, salon services or even teeth whitening. Need help with an order, got a question about a Wowcher offer or having trouble using the site? If so, e-mail: enquiries@wowcher.co.uk. Please remember to include your full name and order number (if you have one). You might also find the answer you need in our FAQ section. You can call us on 0844 264 0417 between 09:00-17:00 BST Monday to Friday. If you're experiencing difficulty using your admin suite, call your Account Manager. If you're a new merchant and want to work with us then click here . Email getfeatured@wowcher.co.uk or alternatively you can call on below numbers. For Customer Services queries please email enquiries@wowcher.co.uk or call us on 0844 264 0417 between 09:00-17:00 BST Monday to Friday. All press enquiries should be sent to: press@wowcher.co.uk.